To Canada, USA, Europe, UK, Ireland, Asia, Australia, Africa, Middle East, South America & The Caribbean! 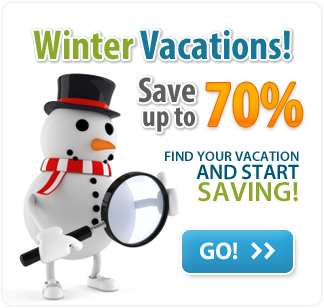 » Plus Many More Cheap Hotel Discounts & Hotel Deals from Netholidays.ca Hotels! 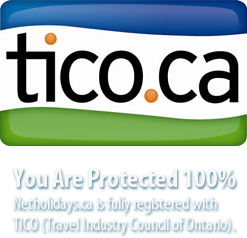 With Netholidays.ca, you can book cheap hotels and discount hotel reservations online 24/7. Our state of the art hotel booking engine ensures you to find cheap hotels from major hotel chains including Marriot, Fairmont, Choice Hotels, Holiday Inn, Hilton & much more! We offer hotel deals all over the world including cheap hotels in Canada, USA, Europe, UK, Ireland, Asia, Australia, Africa, Middle East & India, South America, The Caribbean & MANY MORE! Popular cheap hotel destinations include Toronto Hotels, Niagara Falls Hotels, London Hotels, Rome Hotels, Las Vegas Hotels, Dubai Hotels, Calgary Hotels, Vancouver Hotels, New York Hotels, Los Angeles Hotels, Milan Hotels, Paris Hotels & MANY MORE! If you have any questions regarding our cheap hotel reservations & rates, please click here to view our Frequently Asked Questions. Netholidays.ca offers cheap hotel deals in Canadian cities. Save on hotels in the Canadian cities below. Netholidays.ca offers cheap hotels in all cities in the USA including all of the cities listed below. Save on hotel deals in US cities when booking your cheap hotels with Netholidays.ca! Netholidays.ca offers discount hotel reservations to cities in the Europe including all of the cities listed below. Save with Netholidays.ca when you book cheap hotels to Europe. Netholidays.ca offers discount hotel reservations to cities in Asia and Australia including all of the cities listed below. With Netholidays.ca, you can save on cheap hotels to Asia and Australia. Netholidays.ca offers cheap hotel reservations to Africa including all of the cities listed below. Try Netholidays for your next hotel reservation and save on cheap hotels in Africa. Netholidays.ca offers cheap hotels in the Caribbean including all of the cities listed below. With Netholidays.ca, you can save on cheap hotel deals to the Caribbean. Netholidays.ca offers cheap hotel deals in the Middle East and India! Netholidays.ca can save you lots of money on cheap hotels in the Middle East and India! Netholidays.ca offers discount hotel deals in South America including all of the cities listed below. Book your next cheap hotel to South America and SAVE with Netholidays.ca Hotels.